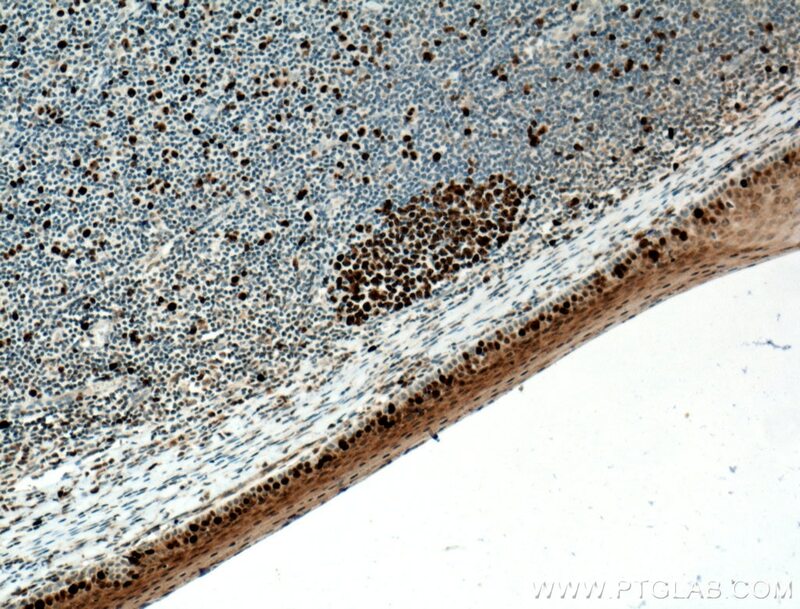 Immunohistochemical analysis of paraffin-embedded human tonsillitis tissue slide using 27309-1-AP( KI67 antibody) at dilution of 1:1000 (under 10x lens) heat mediated antigen retrieved with Tris-EDTA buffer(pH9). 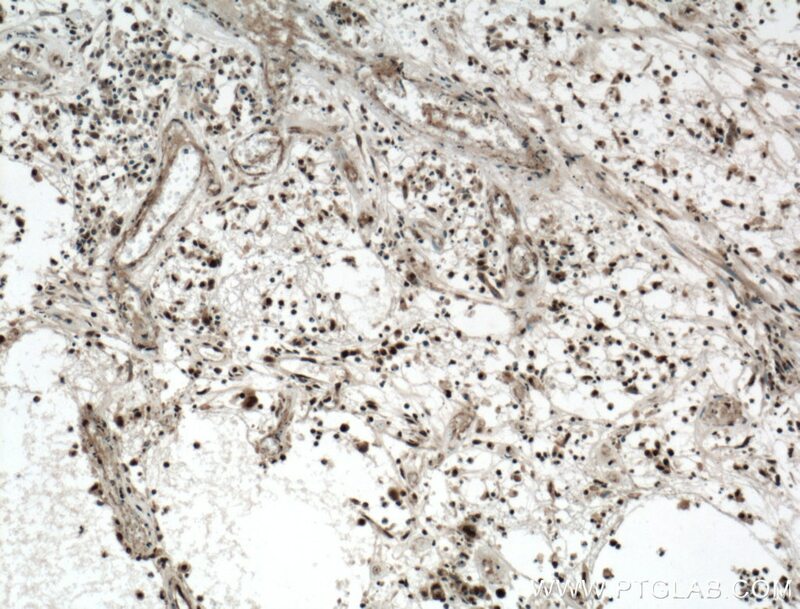 Immunohistochemical analysis of paraffin-embedded human tonsillitis tissue slide using 27309-1-AP( KI67 antibody) at dilution of 1:1000 (under 40x lens) heat mediated antigen retrieved with Tris-EDTA buffer(pH9). 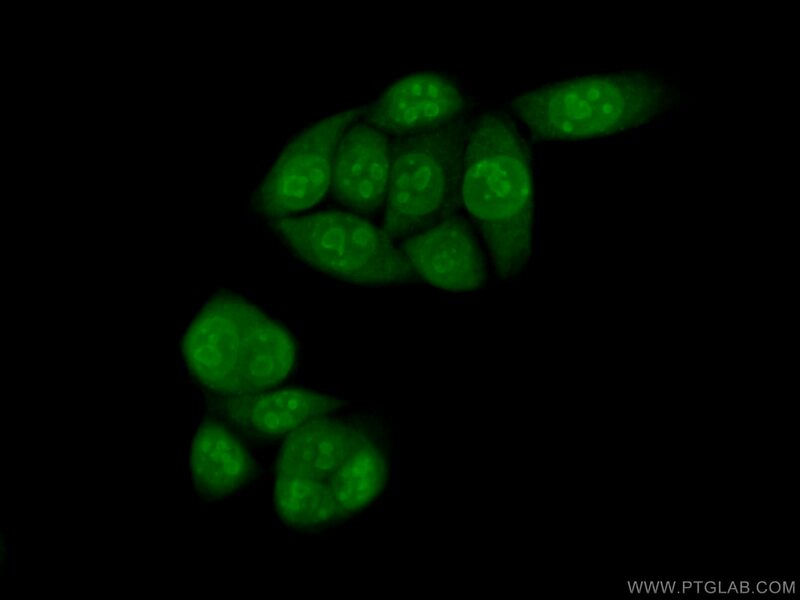 The Ki-67 protein (also known as MKI67) is a cellular marker for proliferation. 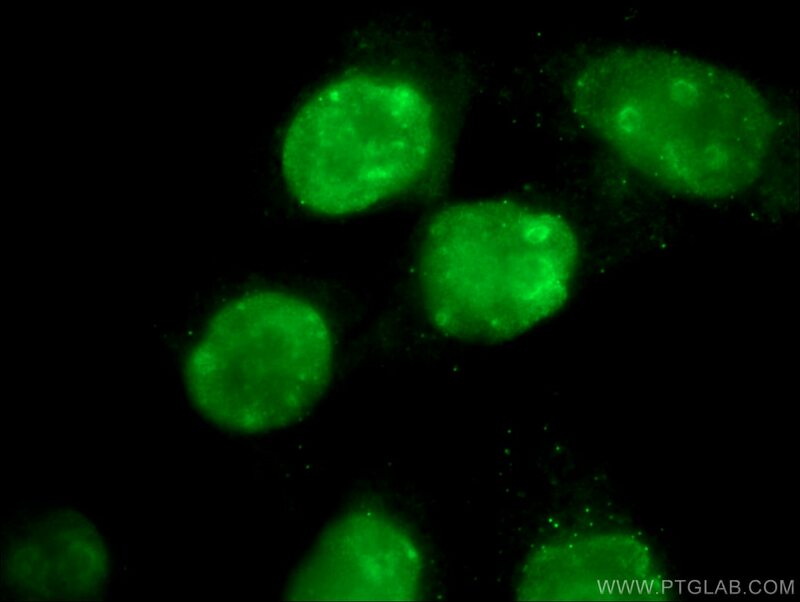 Ki67 is present during all active phases of the cell cycle (G1, S, G2 and M), but is absent in resting cells (G0). Cellular content of Ki-67 protein markedly increases during cell progression through S phase of the cell cycle. 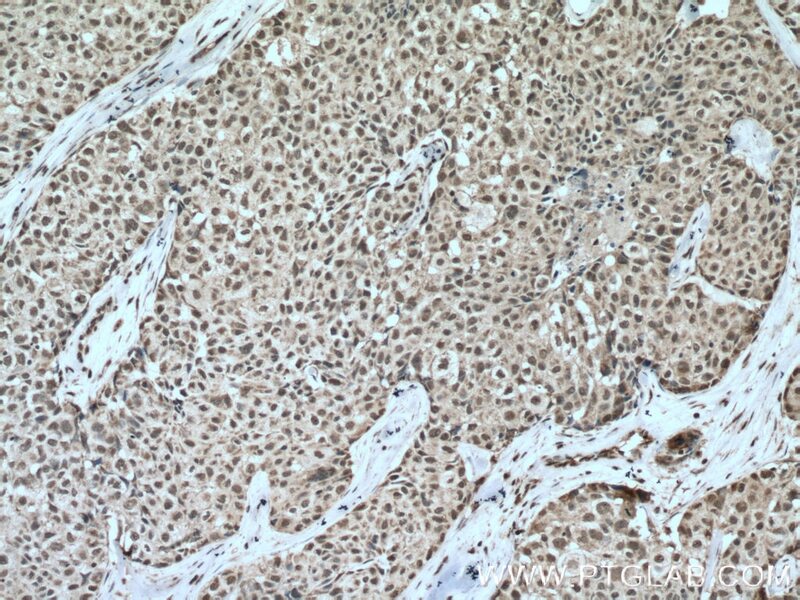 Therefore, the nuclear expression of Ki67 can be evaluated to assess tumor proliferation by immunohistochemistry. It has been demonstrated to be of prognostic value in breast cancer. In head and neck cancer, several studies have reported an association between high proliferative activity and poorer prognosis. 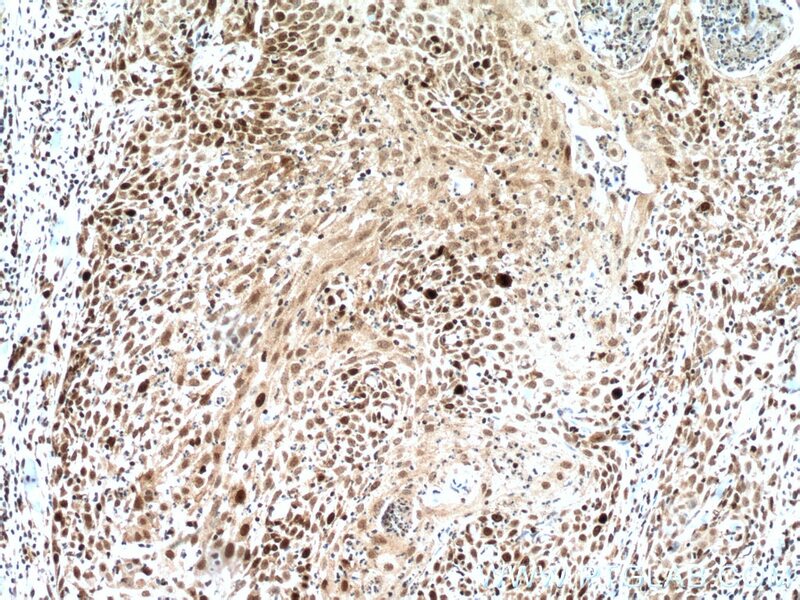 Elevated expression of protein arginine methyltransferase 5 predicts the poor prognosis of breast cancer. Targeting Oct2 and P53: Formononetin prevents cisplatin-induced acute kidney injury. Adipose-derived mesenchymal stem cells promote osteosarcoma proliferation and metastasis by activating the STAT3 pathway. Inhibition of N-methyl-N-nitrosourea-induced gastric tumorigenesis by Liuwei Dihuang Pill in db/db mice. PTENP1 inhibits the growth of esophageal squamous cell carcinoma by regulating SOCS6 expression and correlates with disease prognosis. Aucubin Alleviates Bleomycin-Induced Pulmonary Fibrosis in a Mouse Model. 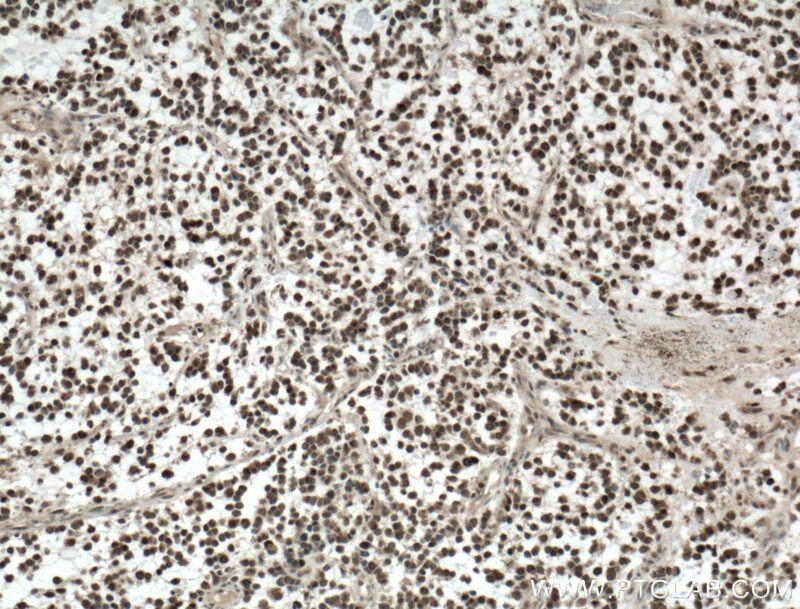 Immunohistochemical analysis of paraffin-embedded human breast cancer tissue slide using 27309-1-AP (KI67 antibody) at dilution of 1:8000 (under 10x lens) heat mediated antigen retrieved with Tris-EDTA buffer(pH9). 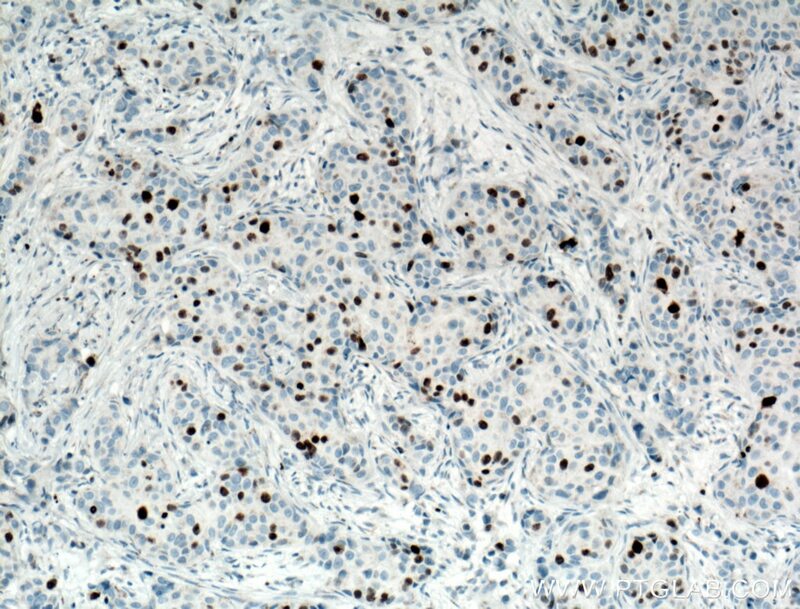 Immunohistochemical analysis of paraffin-embedded human breast cancer tissue slide using 27309-1-AP (KI67 antibody) at dilution of 1:16000 (under 10x lens) heat mediated antigen retrieved with Tris-EDTA buffer(pH9). 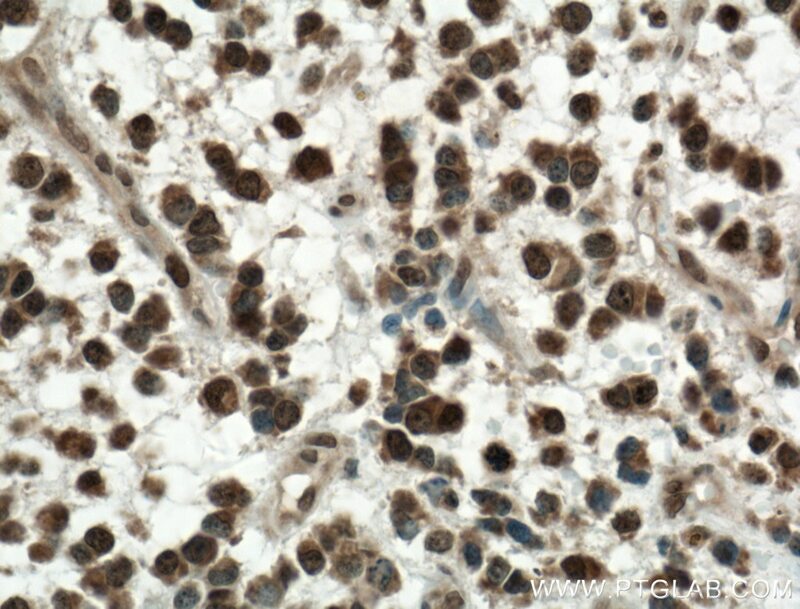 Immunohistochemical analysis of paraffin-embedded human colon cancer tissue slide using 27309-1-AP( KI67 Antibody) at dilution of 1:400 (under 10x lens). heat mediated antigen retrieved with Tris-EDTA buffer(pH9). 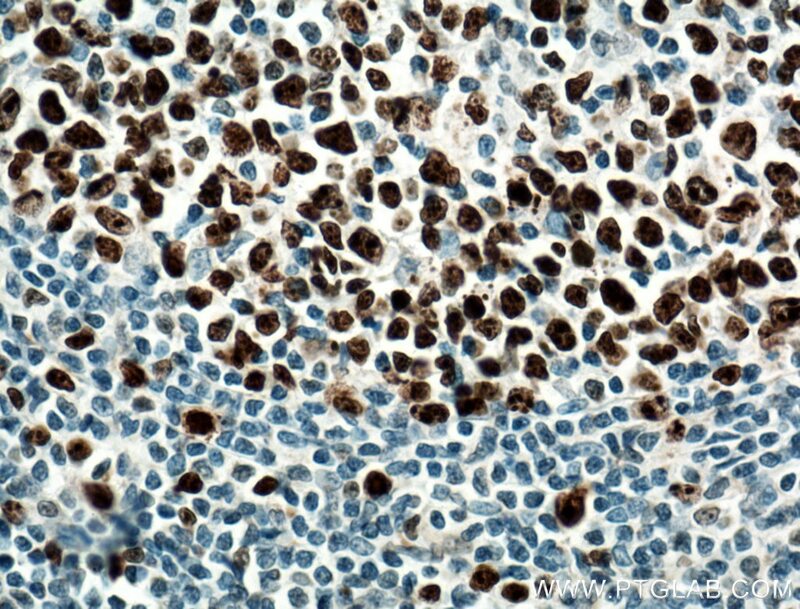 Immunohistochemical analysis of paraffin-embedded human colon cancer tissue slide using 27309-1-AP( KI67 Antibody) at dilution of 1:400 (under 40x lens). heat mediated antigen retrieved with Tris-EDTA buffer(pH9). 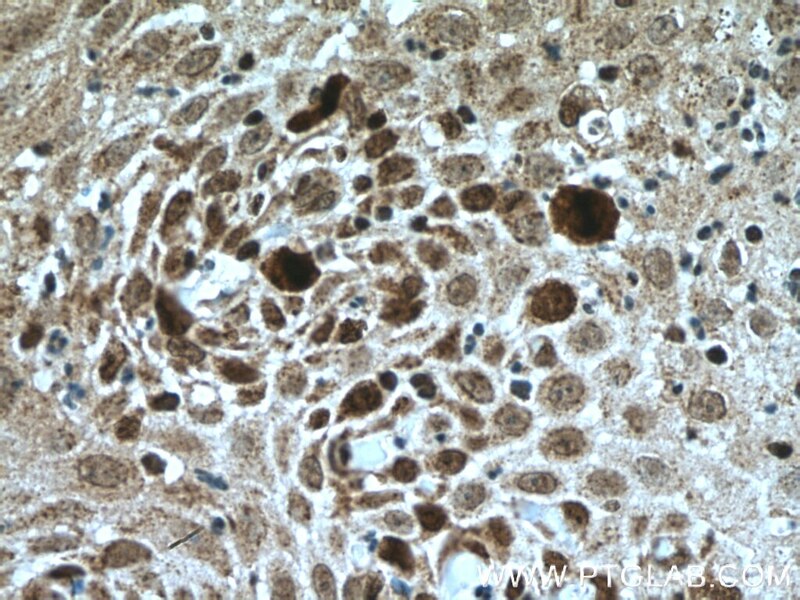 Immunohistochemical analysis of paraffin-embedded human gliomas tissue slide using 27309-1-AP( KI67 Antibody) at dilution of 1:400 (under 10x lens). heat mediated antigen retrieved with Tris-EDTA buffer(pH9). 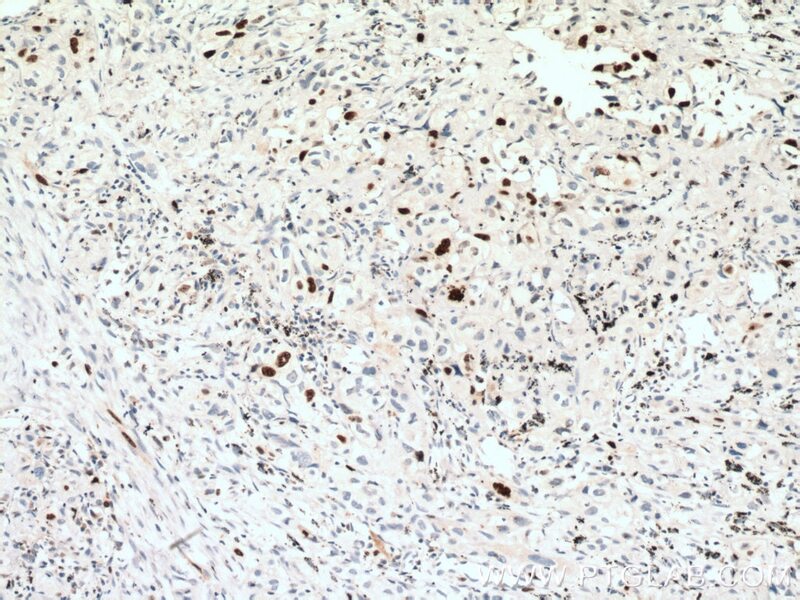 Immunohistochemical analysis of paraffin-embedded human gliomas tissue slide using 27309-1-AP( KI67 Antibody) at dilution of 1:400 (under 40x lens). heat mediated antigen retrieved with Tris-EDTA buffer(pH9). 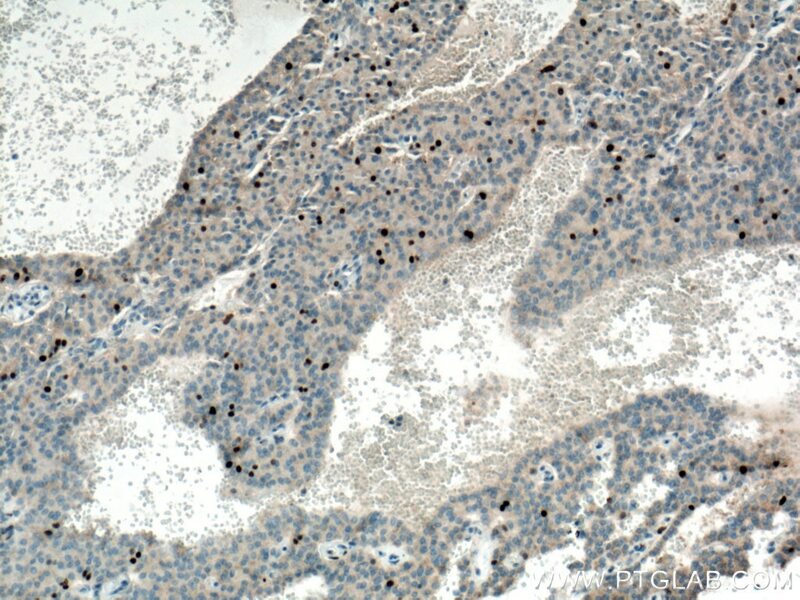 Immunohistochemical analysis of paraffin-embedded human lung cancer tissue slide using 27309-1-AP( KI67 antibody) at dilution of 1:200 (under 10x lens) heat mediated antigen retrieved with Tris-EDTA buffer(pH9). 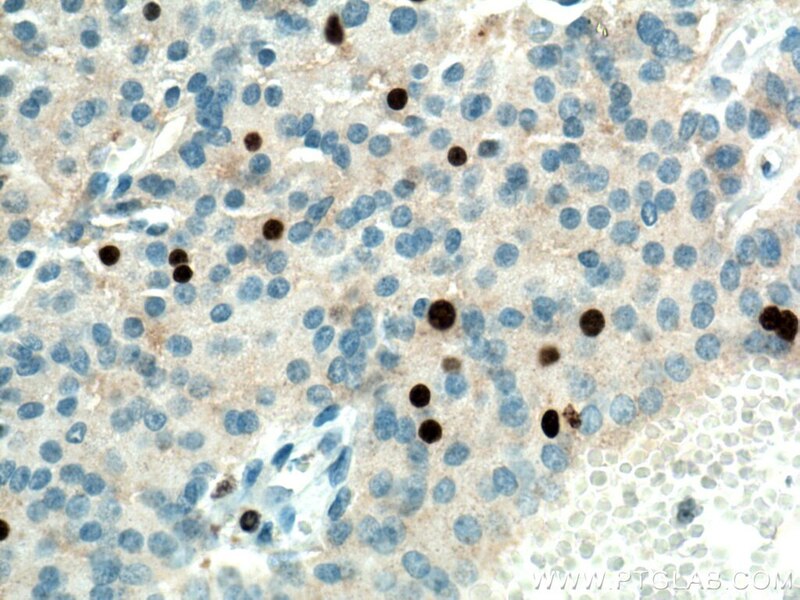 Immunohistochemical analysis of paraffin-embedded human lung cancer tissue slide using 27309-1-AP( KI67 antibody) at dilution of 1:200 (under 40x lens) heat mediated antigen retrieved with Tris-EDTA buffer(pH9). 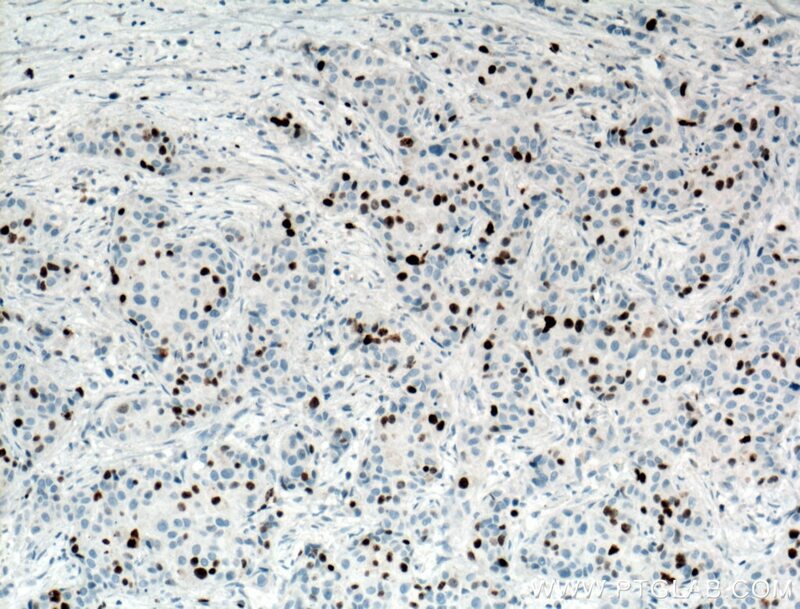 Immunohistochemical analysis of paraffin-embedded human lung cancer tissue slide using 27309-1-AP( KI67 antibody) at dilution of 1:16000 (under 10x lens) heat mediated antigen retrieved with Tris-EDTA buffer(pH9). 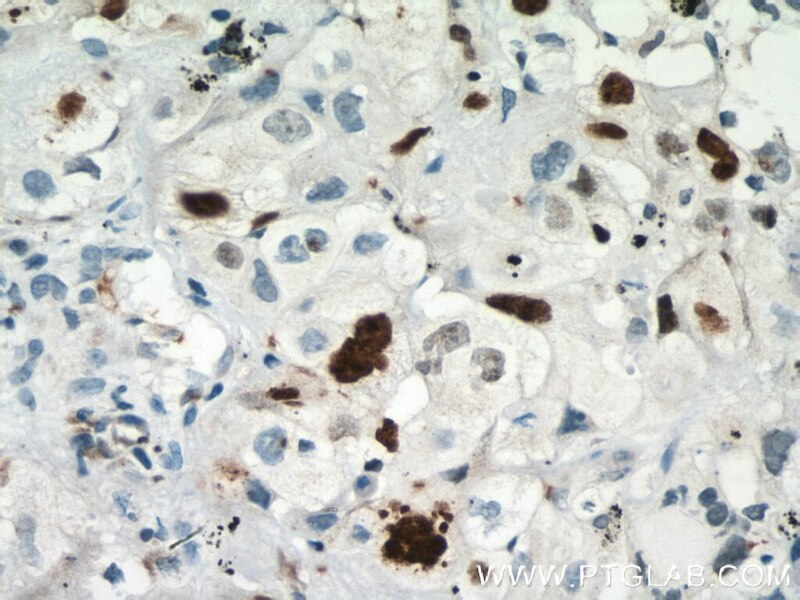 Immunohistochemical analysis of paraffin-embedded human lung cancer tissue slide using 27309-1-AP( KI67 antibody) at dilution of 1:16000 (under 40x lens) heat mediated antigen retrieved with Tris-EDTA buffer(pH9). 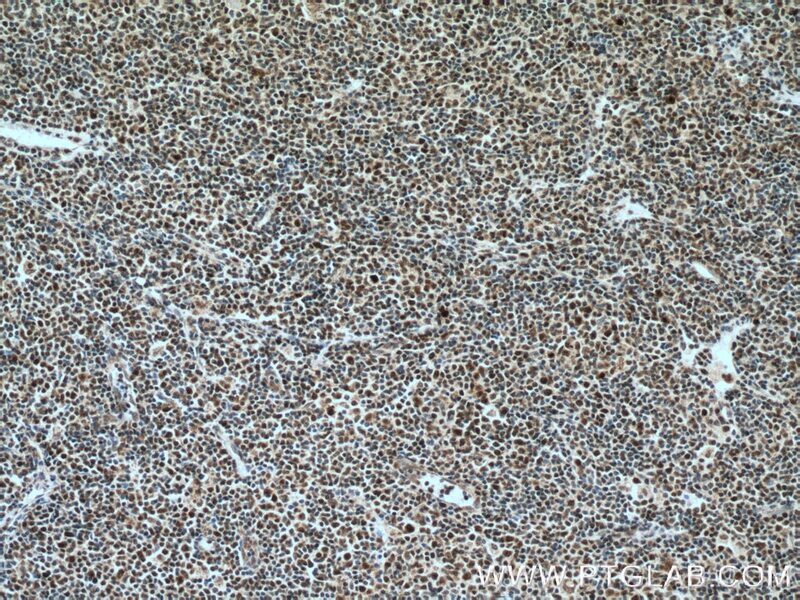 Immunohistochemical analysis of paraffin-embedded human lymphoma tissue slide using 27309-1-AP (KI67 antibody) at dilution of 1:1000 (under 10x lens) heat mediated antigen retrieved with Tris-EDTA buffer(pH9). 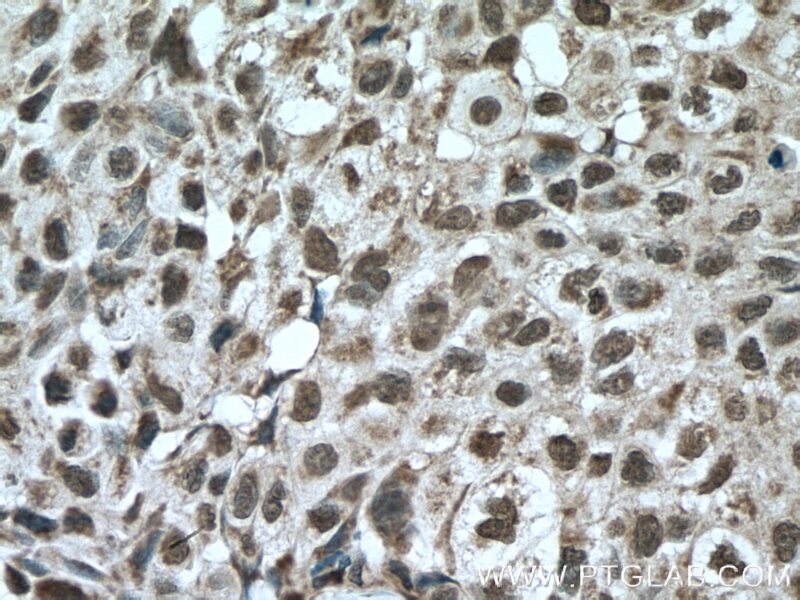 Immunohistochemical analysis of paraffin-embedded human lymphoma tissue slide using 27309-1-AP (KI67 antibody) at dilution of 1:1000 (under 40x lens) heat mediated antigen retrieved with Tris-EDTA buffer(pH9). 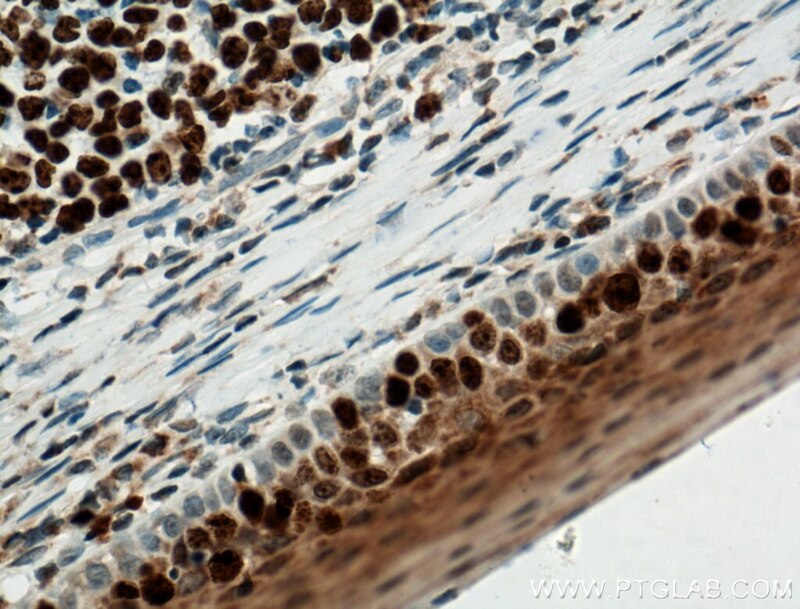 Immunohistochemical analysis of paraffin-embedded human skin cancer tissue slide using 27309-1-AP (KI67 antibody) at dilution of 1:1000 (under 10x lens) heat mediated antigen retrieved with Tris-EDTA buffer(pH9). 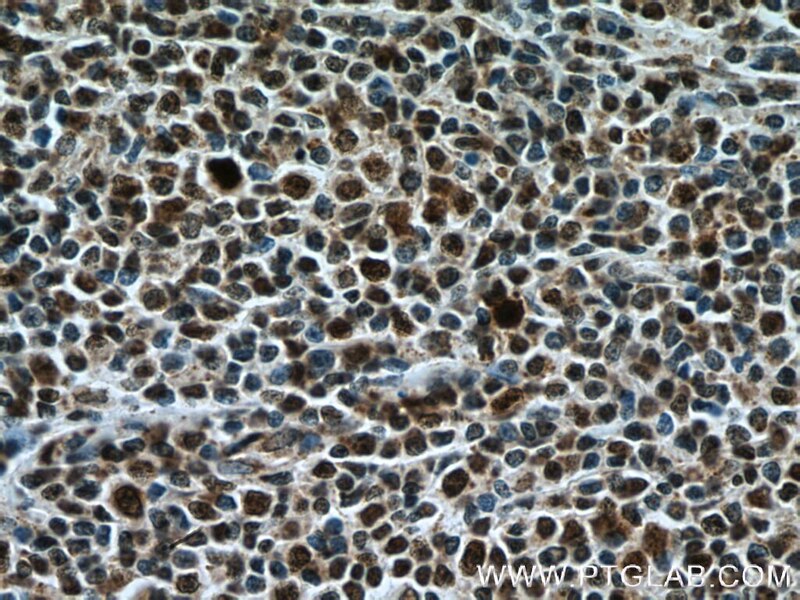 Immunohistochemical analysis of paraffin-embedded human skin cancer tissue slide using 27309-1-AP (KI67 antibody) at dilution of 1:1000 (under 40x lens) heat mediated antigen retrieved with Tris-EDTA buffer(pH9). 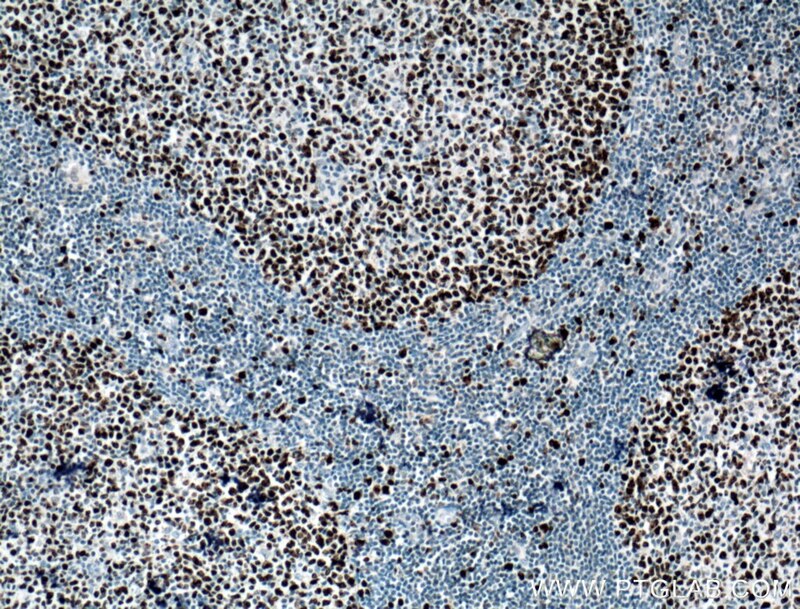 Immunohistochemical analysis of paraffin-embedded Insulinoma tissue slide using 27309-1-AP (KI67 antibody) at dilution of 1:16000 (under 10x lens) heat mediated antigen retrieved with Tris-EDTA buffer(pH9). 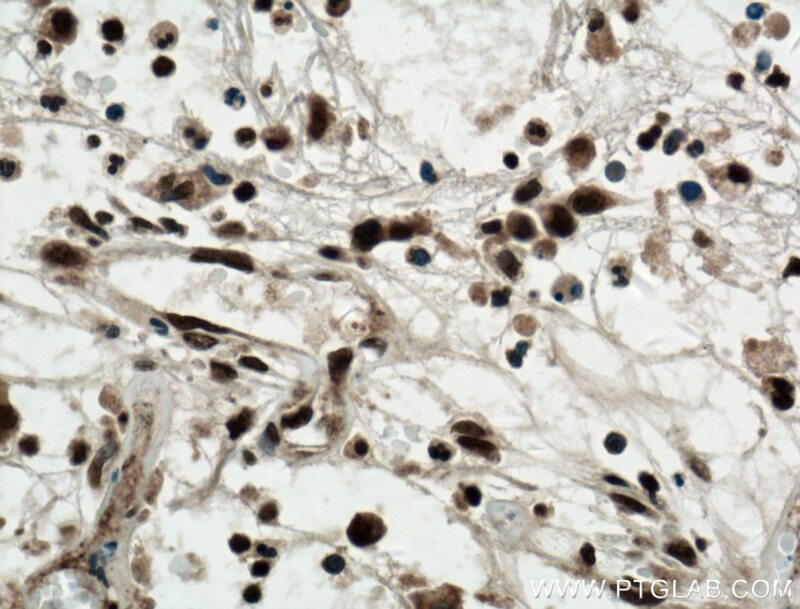 Immunohistochemical analysis of paraffin-embedded Insulinoma tissue slide using 27309-1-AP (KI67 antibody) at dilution of 1:16000 (under 40x lens) heat mediated antigen retrieved with Tris-EDTA buffer(pH9).